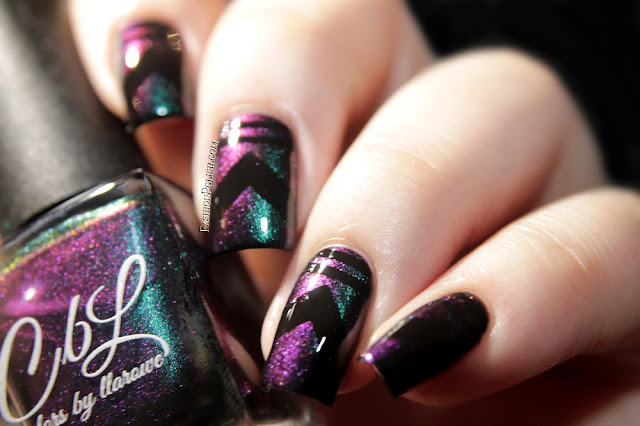 Fashion Polish: Colors by Llarowe Stamping nail polish collection part II : the multichromes! 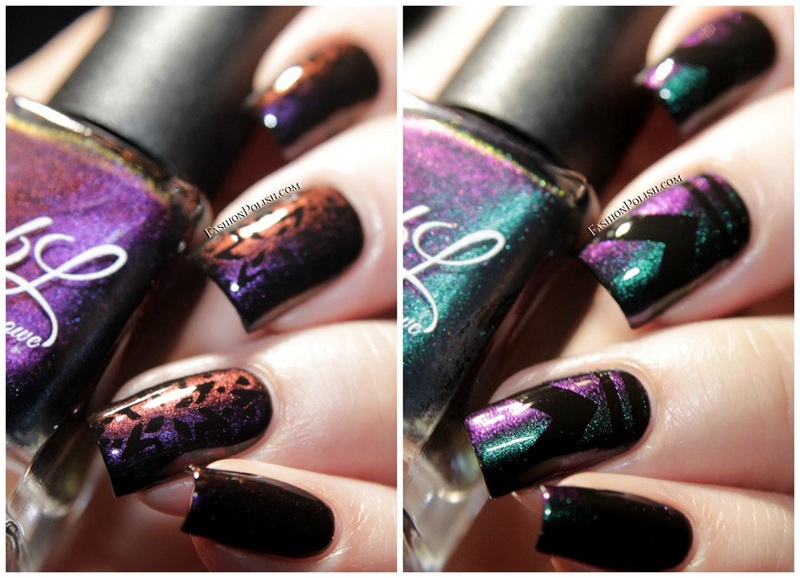 Colors by Llarowe Stamping nail polish collection part II : the multichromes! So today I have swatches of the two multichromes stamping polishes that weren't part of y initial CbL review: Chameleon and Shifty. Formula was pretty consistent on both polishes : they seemed watery at first, with barely enough pigment to stamp but once on the nails, they looked surprisingly covering. And the color shift, as you will see, is very intense. Like I said, I really had doubts at first, I wasn't sure I'd be able to pick any pigment, let alone transfer it but I was so wrong! I looove both of these polishes, they're just perfect! The Colors by llarowe Stamping collection is currently in stock on llarowe.com. Individual polishes retail for $10 each.